The intellectuals of any country are some of the most expensive resources because of their training in terms of material cost and time, and most importantly, because of lost opportunity. Why do talented people leave their countries and go abroad? What are the consequences of such migrations? What policies can be adopted to stem such movements from developing countries to developed countries? Especially in Sri Lanka, there is a growing need for change in the political sphere where people yearn for educated professionals in the driving seat to formulate policies for the country and steer it in the right direction, at a time when people are fed up with those who enter politics with no proper understanding of how to run a country, but only with the sole aim of amassing wealth for themselves at the expense of the country and its people. At a time when the country’s political future looks bleak and the people are fed up with all political parties today, it is indeed a breath of fresh air to find that a group of professionals have come forth to form a political group with a vision and proper political understanding and policies that would take the country forward. Dr. Nihal Abeysinghe is the former epidemiologist of the Health Ministry who left the country in 2008 to join the WHO and had also served as the regional advisor on vaccine-preventable diseases in the South East Asia region. He returned to the country in 2016 and together with other like-minded professionals discussed the country’s situation and what was going on and watched what happened during the elections in the recent past. They then thought, why not form a group to draft national policies? The new political group is known as the ‘National Intellectuals Organisation’. 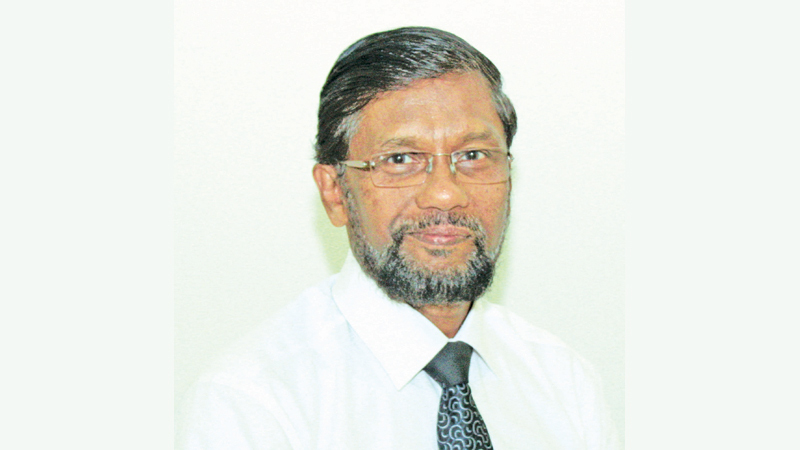 Dr. Abeysinghe is the Secretary of the organisation, Prof. Chandana Abeyratne of the Kelaniya University Sociology Department is the President and Dr. Anura Karunatillake of the Mathematics Department of the Kelaniya University is the national organiser. Q. What are the policies you are working on and why do you think forming policies is important? A. It worked as there were several people who were supporting us during the past six months and finally, we thought we should form an organisation and pressurise civil organisations and political parties to come to a front where we could build the country on the policies that we will be launching very soon. We have initially started by framing national policies on a few selected topics such as economy, agriculture, education, health, transport, art and culture, environment, national reconciliation, sports and information technology. These are the 10 topics that we have been deliberating over the past six months, but we do have ideas about other areas such as foreign policy and others such as governance. But we thought that these 10 areas are the most crucial from a public point of view. Q. When do you hope to release these policies that you have been working on? A. We will put forward a summary of policies that we had developed over the last six months on February 19 at the Sugathadasa Indoor Stadium. We will start the meeting around 10 am and we hope to conclude by 11 am. We have invited all progressive people and groups to join us in the launch and the discussions that would follow with any group in this country to refine our policies. We are almost ready with the summary of our policies and at the end of March, we would have the longer version of our documents with all the details for other intellectuals to peruse and have discussions with us. We have more planned at the district level as well, at least in the Sinhala-speaking areas initially. Q. What is the plan you have in mind to take your policies to the people in the rural areas? A. First, we will launch these policies and thereafter, take it to other professionals and the public. We have formed district committees in Trincomalee and Vavuniya as well as some committees in the main cities. We have not been able to discuss in detail with the public yet but we have had some discussions in certain districts and have a fair understanding of the public’s concerns. However, once we have this document in hand, it would make it easier for others to understand us and then, we would like to receive more ideas from them. That is basically the plan we have in mind. We do have quite a few academics from the universities, engineers, lawyers, doctors, some media personnel and artistes. Our main aim is to see how the public and professionals accept and understand our policies and then we will take it from there with regard to the future plans of this group. Q. Have you had any discussions with any political party or politician with regard to obtaining their support? A. We have not approached any political party, but there are some who have expressed their interest in us. One of them is the Sarvodaya social organisation, Deshodaya. We are thinking of a front in the near future. We don’t know when the elections would be held, but we would like to join with an organisation which shares similar ideas. We want everyone to join us and we want to continue with our plan. We feel that it is only through proper policies that the country can change for the better. Q. You say you want a change. What sort of change do you intend to bring about? A. We are not happy with the current situation in the country and we believe the country needs change. Q. Do you intend coming forth as a new political party or alliance? A. Yes, it has to be because we have seen how things have changed over the years. Various governments came into power, but they easily forgot their promises to the people once they gained power. Even if governments change, it is the same set of ministers that rotate and their policies too change to suit their whims and fancy. It is hard to fathom what the current politician is thinking or doing. Hence, we felt, as a pressure group, we should form a political front and contest the next general election. We may not contest the presidential election or the provincial council elections though. However, we do believe that at the general election we could bring some discussions to the table. Q. In this day and age where anyone who has the money enters politics, do you think your group could change this trend? A. I was in the Health Ministry for 27 years and never came out publicly on what the government was doing. We simply did our part. Even in the UN system, I did not have the opportunity to open my mouth. So this might be the last and only chance for us to make our contribution to our country. Now, most intellectuals are leaving the country as they are fed up with the situation here and I think there is a great yearning for professionals and intellectuals to come into politics and change this system and bring politics back on track where serving the people is the most urgent and essential duty of a politician. I think there is still an opportunity. Q. Have you come up with a name for the party or a logo yet? A. Not yet. Once we launch our policies, then we will discuss with other organisations and the public and then decide on the symbol or colour. However, I must emphasise that it will definitely be something quite different from what we have now. We feel that the people will open their eyes and see what we professionals have to say. Q. You say that anyone is welcome to join you. Do you think this is a good idea if you want your group to remain a professional and intellectual outfit? A. We are trying as much as possible to get professionals into our group. As regards membership in our group, we would give preference to the intellectuals and experienced and knowledgeable people. Those who can understand our policies are those who should be in Parliament and not just anyone else. What is happening today is that anyone who has money can get into politics and if they can spend, they can definitely go to Parliament. However, if we can change that culture, I am sure the people will at least listen to those who have experience in policy-making and have got some results. I hope that even if people don’t like us, they would listen to us.